Liberty Healthcare recognizes the challenges that hospitals and healthcare systems often face, especially in today’s rapidly changing healthcare landscape. We bring over 25 years of outsourced healthcare management experience which has touched upon virtually every area of inpatient and outpatient health services. 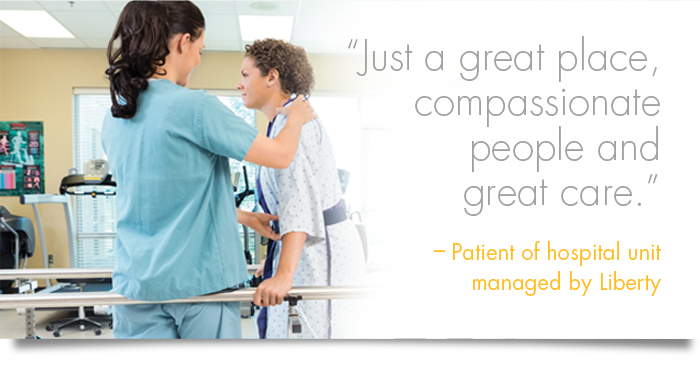 By providing committed teams of expert clinical, financial, operational, and recruitment professionals and employing sophisticated, state-of-the-art support tools, our client hospitals maintain superior clinical outcomes and sustained financial success. With an unparalleled depth of comprehensive resources, a robust history of successfully conquering the most challenging issues for our clients, and a proven capability to rapidly recruit key physician and support staff, whenever the need may arise, Liberty delivers with unrivaled success. Liberty’s outsource management arrangements are tailored to meet your unique needs. 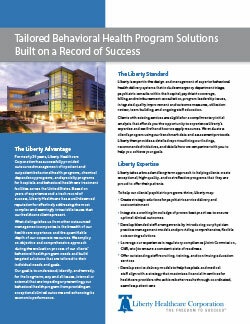 We can simply provide the core management staff or provide full staffing of your programs with Liberty employees. This approach enables hospitals to “reset” their personnel and functions that have become too costly or inefficient over time. Our full staffing alternative can save your hospital significant staffing expense while improving operational efficiency, quality of services, and overall profitability. However you decide Liberty can best meet your needs, be assured that central to Liberty’s success is our focus on staff education, competency, and satisfaction. 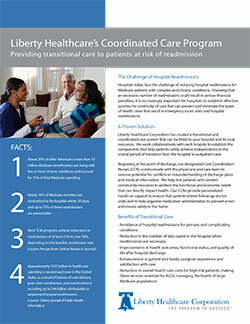 For more information about Liberty Healthcare’s hospital-based specialty unit management services and solutions, visit us at lhcfreedom.com.